'...power cuts are unknown, the roads are good, the water supply works, traffic jams are almost non-existent...' If any other African country was as orderly and efficient as Namibia, you wouldn't stop hearing about it. Why is so little said about Namibia?". 1. Namibia is the 34th largest country in the world, but with 2 million inhabitants it is also one of the least densely populated (2nd only to Mongolia). It’s capital city, Windhoek and its largest city is just over half the size of New York, but has a population of only 324,000. 2. Namibia is one of the richest countries in Africa. The country’s GNP per capita was calculated at $2,334 USD (December, 2005), compared with an African average of $681 USD for the same period. But these averages hide something: the wealth is concentrated in the hands of a very small minority, mainly of European descent. The richest 5% of the population controls 71% of the GDP, with an average income of $14,000 USD per year. The poorest 55% account for 3% of GDP, with a per capita income of less than $100 US per year. The unemployment rate is 54% (in a country of 2 million, remember); about the same percentage lives below the international poverty line. 3. 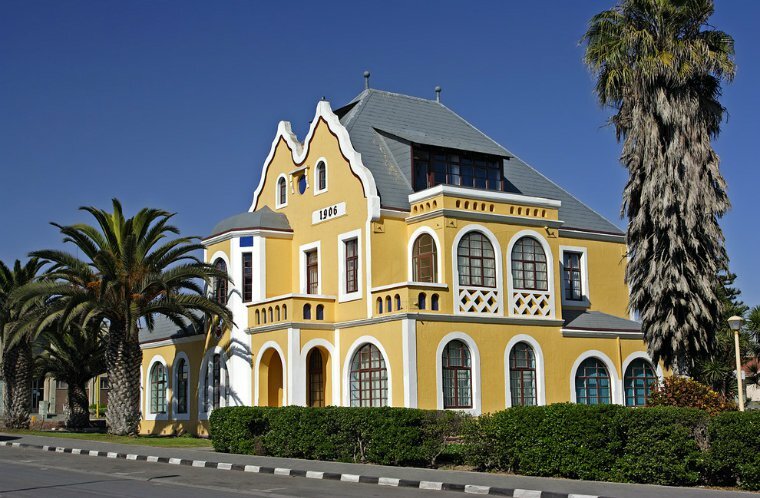 Germany ruled Namibia from 1844 to 1915. 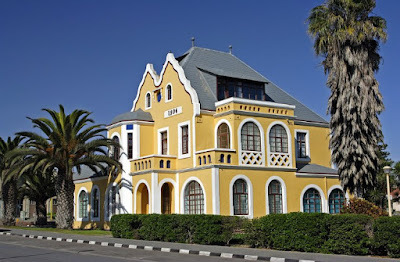 It was here that the Germans carried out the first genocide of the 20th century, the Herero and Namaqua Genocide. Half the Nama population and 80% of the Hereros were killed. The survivors, when finally released from detention, were subjected to a policy of dispossession, deportation, forced labour, racial segregation (they were confined to so-called “native territories”) and discrimination. 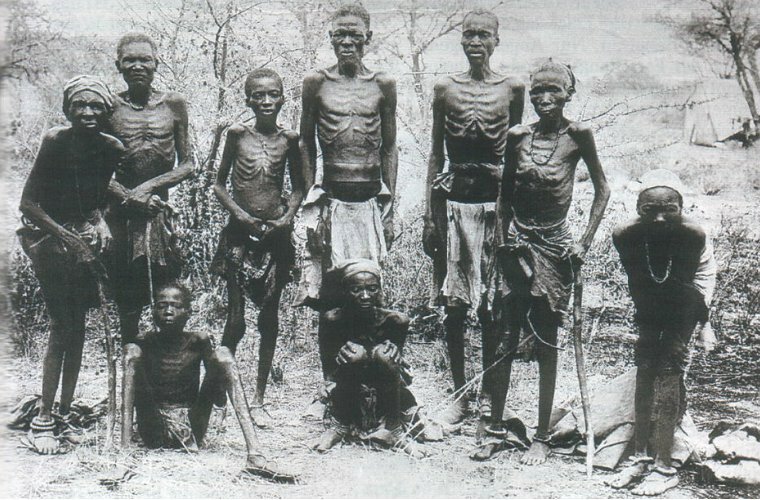 The genocide, plus racist laws and sheer brutality, was used to deprive the black Namibians of their land. This land was “given” to the white settlers. 4. The legacy and influence of German colonialism is still very noticeable, not only in the way the country is run, but also in the street names (Bergerstrasse, Litzstrasse, Uhlandstrasse, etc.) and in the old architecture. 5. South Africa took control of Namibia in 1920, but South Africa at the time was also ruled by a minority white population, so they continued where the Germans left off, imposing South Africa’s policies of apartheid in Namibia. The “native territories” were turned into “homelands” (Bantustans). Namibia finally got its “independence” in 1990, and has since been run by the South West African People’s Organisation (SWAPO), at least in theory. 6. Today’s white Namibians are the descendants of the German and South African colonizers who ruled the country from 1844 to 1990. They make up 6% of the population, but, having held on to the privileges of apartheid, control 90% of the land: 40% of this land is commercial and fenced off, and considered private property. Some of its owners are absentee European landowners who live permanently in Italy, Germany and elsewhere. 7. A large part of Namibia is desert, but desert rich in diamonds, gold, silver, base metals and uranium (it holds the second largest uranium deposits in the world). These are mined and sold by multinationals such as British company Rio Tinto. 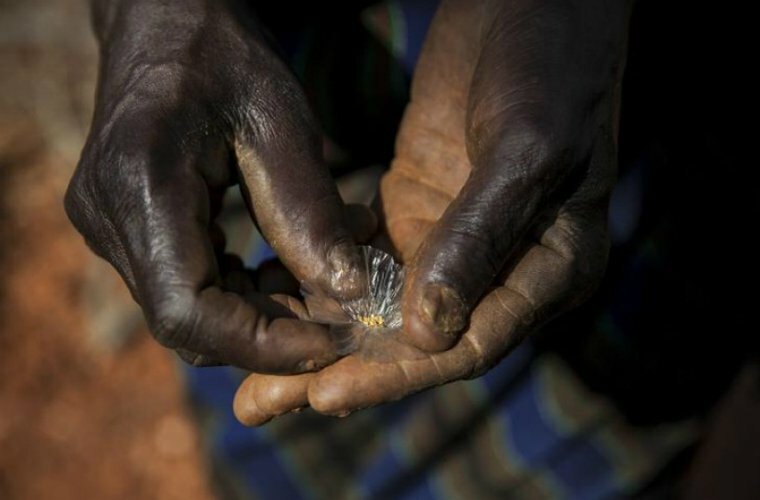 Some diamond cutting is done in Windhoek, but most is exported raw by the multinationals who mine them. Colonial treaties signed by Western multinationals ensure that the companies and their shareholders in the West enjoy the fruits of Namibia’s resources, with very little of these fruits accruing to the indigenous Namibian population. 8. 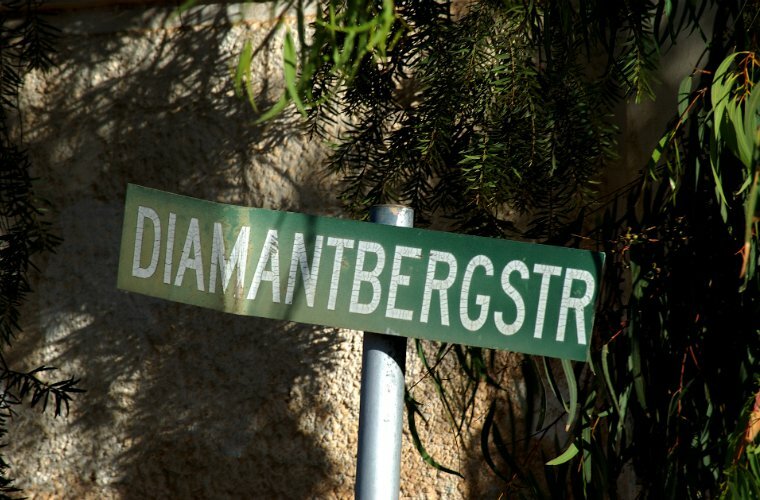 Katutura (which, in the Herero language, means “The place where we do not want to live”) is where a good percentage of Windhoek’s black population lives. It’s a township created in 1961 so black people could be moved away from the Old Location to make way for the creation of Hochland Park, a whites-only affluent suburb. After independence, Hochland Park became a residential area for the upper middle-class, both black (the few who are doing well, and government ministers) and white. 9. Arable land is farmed on an industrial scale in Namibia (the country is a major beef exporter to Europe), but commercial agriculture doesn’t employ much labour: the average commercial farm employed 6 people as of 2005. 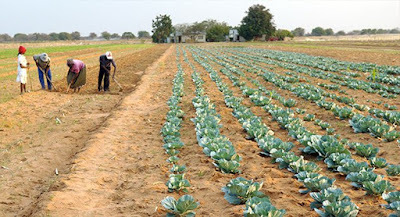 Thus commercial agriculture as a whole employs about 8% of the labour force. 10. Without land of their own, most of the black population can’t become self-employed farmers, or even sustenance farmers (as happens elsewhere in Africa). There is a scheme in place to redistribute some of the land to black farmers, but this is a slow process (between 1990 and 2002, only 1% of commercial land was redistributed). The government cannot do much about this because during the independence negotiations, something called Chapter 3 was inserted into the Namibian Constitution at the request of the Contact Group (made up of the UK, USA, Canada, Germany and France) to prevent the SWAPO government from doing anything radical with the land. Thus, 21 years after independence, Namibia is still ruled and ‘owned’ by the descendants of the German and white South African colonizers. A few thousand white Namibians living large, while the majority black population hews wood, draws water, lives mostly in townships and under the poverty line, and remains mostly unemployed. White Namibians are Namibians, too, of course, but when the wealth gap is so obviously based on race as a result of the country’s history, isn’t some faster redistribution of the country’s wealth called for? At the current rate it will take a few generations to make much of a difference, let alone equitable. A time-bomb waiting to explode, as it did in Zimbabwe.